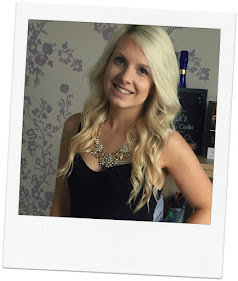 Birthday, Hen Party or just an over due catch up? What ever the excuse is I love a girls night. There's no denying I love a girls night in and I've shared my essentials for a girly get together but this time it's all about getting ready for a Girls Night Out. Getting your best friends together for a night of laughter, memories and inevitable hangovers is made better with 3 little things - lashes, tan and the right outfit. One of the best things to take your makeup from understated to night out ready is without a doubt a set of fake lashes. I've tried a few different brands, with varying success, but the latest ones I've been loving are Faux Mink Lashes by Land of Lashes*. Possibly the most dramatic looking lashes I've ever used, I couldn't quite believe how lightweight and easy to apply these faux mink lashes are. As much as the Captivate and Aurora Faux Mink Lashes are bold and voluminous, they transform any look with very little effort and stay in place all night with a good quality glue like the Revlon Precision Dark Lash Adhesive. Applying them with a False Lash Applicator Tool from Falseeyelashes.co.uk reduces the time and stress giving me more time to enjoy my glass of Prosecco. You can get 10% off your order on Falseeyelashes.co.uk using the code LASH10, surely that's a good excuse to buy a cocktail? Getting ready for a Girls Night Out doesn't just start when I sit at my dressing table and pop open the fizz. I definitely feel more ready for a big night out if I've been organised and had the chance to do my fake tan. I've got quite a fair skin tone so I don't go overboard but having a healthy glow makes a huge difference. One of the brands that I love is Skinny Tan. Whether it's the Skinny Tan 7-Day Tanner or Skinny Tan 24-Hour Bronzer, I find the cream lotion products easy to apply with the dual sided mitt, they don't streak or go patchy and they leave me with a natural looking tan. No orange and no biscuit smell, what's not to like? It wouldn't be a Girls Night Out if it didn't include some dancing. I can't resist hitting the dance floor even before we leave the house so picking out an outfit that allows me to cut some shapes is pretty important. One of my favourite night out options is a jumpsuit. 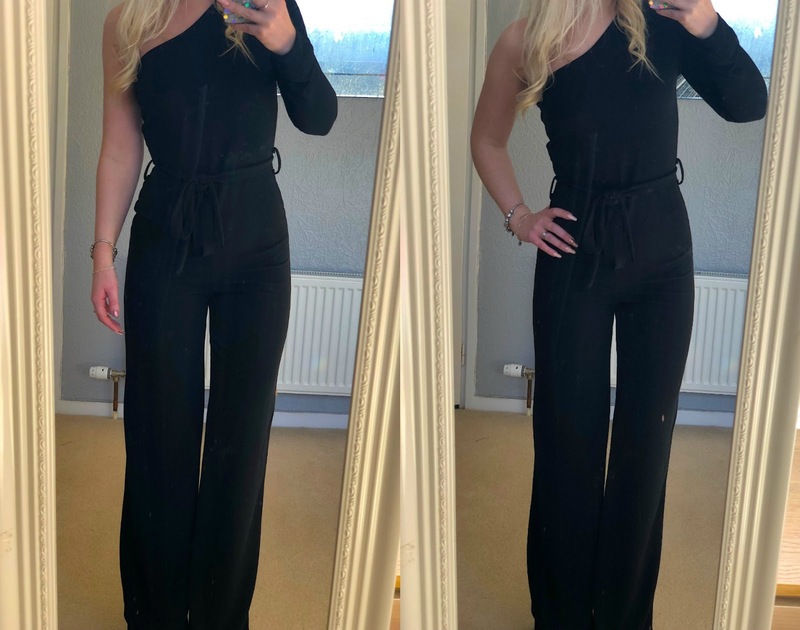 Being able to be all dressed up but still feel 100% body confident shouldn't feel unachievable and it certainly isn't with the Black Belted One Shoulder Jumpsuit* from FemmeLuxe. 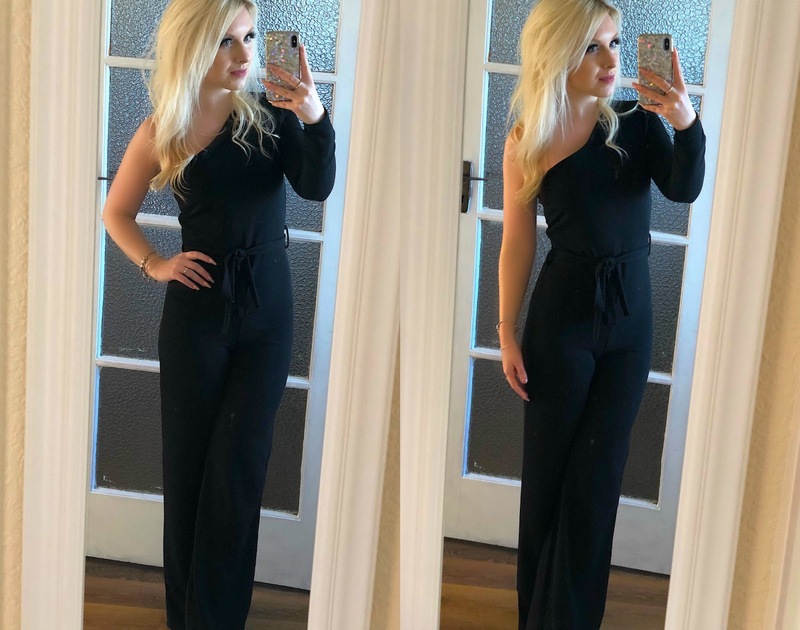 This figure hugging jumpsuit fits me like a glove and is comfortable while being completely on trend. It'sa versatile piece that can be worn with so many different colours and styles of shoes and bags so it's one of those items in my wardrobe that will come out time and time again. I don't mind being a Lizzie McGuire outfit repeater if it means I get to wear this jumpsuit again.